Dr. Jaime Dinglasan Jr. M.D., DPBO is one of the foremost experts in Ophthalmology in the Philippines. 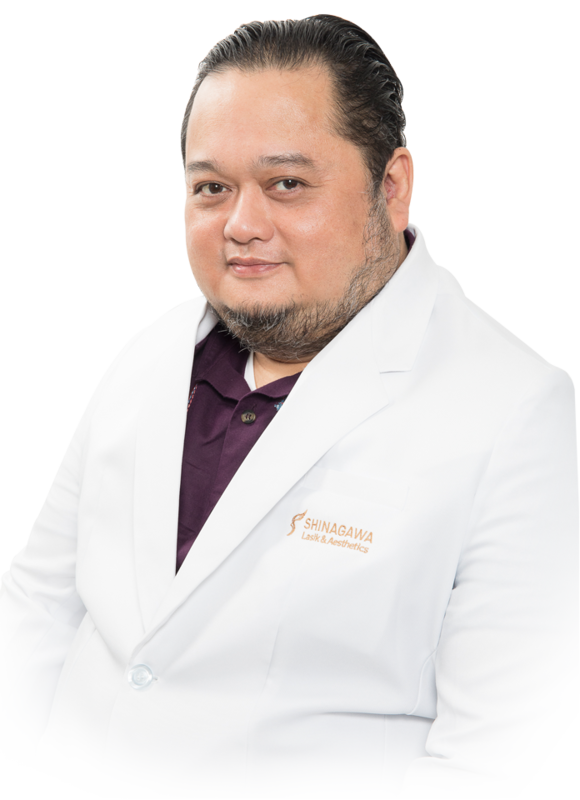 Highly-touted as one of the most recognized and renowned Ophthalmologists in town, he is Shinagawa’s Medical Director and Senior Surgeon of its flagship branch in Makati. An experienced Refractive Surgery Specialist who is well-trained and certified, he has done countless LASIK, Cataract and other eye procedures in his storied career Dr. Dinglasan, who has 28 years of experience under his belt, is a product of the University of Santo Tomas (Opthalmology Program) and University of the East Ramon Magsaysay (Doctor of Medicine), specializes in Refractive Laser correction for Nearsightedness, Farsightedness Presbyopia, Astigmatism and Cataract surgery.